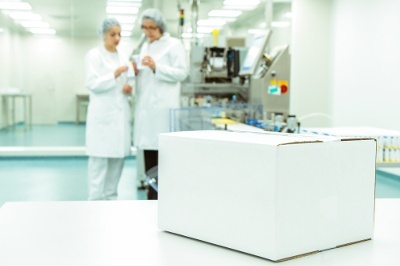 Packaging testing in a certified lab can help you solve persistent packaging quality problems and save your products from getting damaged during shipping and handling. 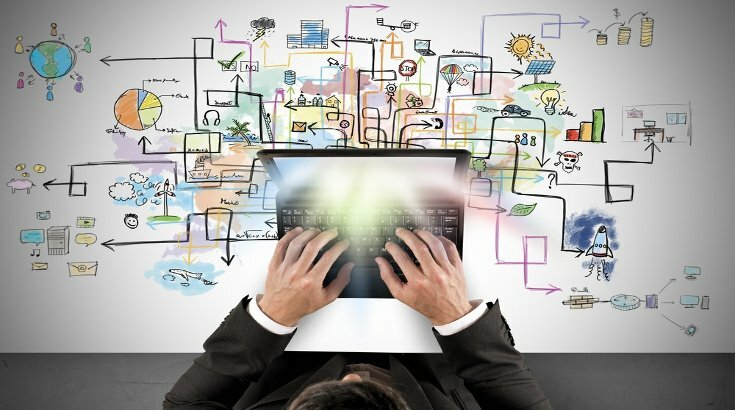 How important is your product’s packaging to your customers? Maybe more than you think. While some importers obsess about the look and feel of their packaging, many struggle just to deliver their products to customers unharmed. A late 2016 survey of 2,000 online shoppers found that one in ten have received damaged items. Many factors can impact the condition of your packaging and the products inside. Everything from packaging materials used, to regulations in your market of sale and even the climate throughout your supply chain can hinder your ability to deliver a quality product to your customers. Pre-shipment inspection can go a long way in helping you verify both product and packaging quality (related: Packaging Inspection Guideline [eBook]). But when serious packaging problems persist you may need greater precision with packaging testing in a qualified lab. Any one of these nine lab tests on our list could help you solve these quality problems and save your products. Stacking of shipping cartons is common in factories and warehouses for the storage, shipping and distribution of orders. Sometimes a factory might have limited storage space available and they might improperly stack too many boxes on top of each other to conserve space. 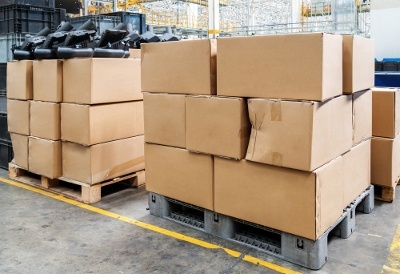 Improper stacking can stress shipping cartons and cause them to collapse (related: 3 Reasons Your Product Won’t Reach Customers in the Right Condition). The edge crush test (ECT) was developed in the 1990s as shipping on pallets and stacking of cartons became more popular in international supply chains. Evaluating a carton’s strength in isolation, as was common before, failed to measure its performance in actual shipping situations. The edge crush test measures the compressive force a cardboard material can sustain in its vertical or loading direction before collapsing. A finished box’s compression strength is defined by the amount of force needed to crush a section of cardboard when standing on its edge. During this test, a load is applied to the edge of a small sample of the packaging material when standing on its end until it collapses. The burst strength test, also known as the Mullen test, is commonly compared to the edge crush test, as they both evaluate the strength of corrugated or cardboard materials. Together these two tests are the most commonly recommended packaging lab tests for importers. But that doesn’t mean importers should use these two tests interchangeably, as the tests measure different things. Bursting strength is the measure of the force required to puncture through a corrugated board. Rather than applying force at the edge, like in the edge crush test, force is applied on its flat side. The burst strength test is an older test than the edge crush test and provides a more general assessment of a carton’s strength. Importers shipping products individually might find a burst strength test more helpful as their shipments might be more subject to rough handling than products stacked on pallets. Shipping your products isn’t just about shipping, but also shipping and handling. Tens of people might handle your packages before they reach the end customer. 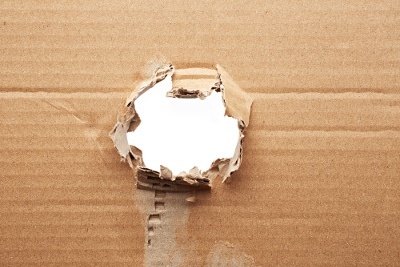 Cardboard can easily be punctured during handling by factory staff and logistics personnel if the box collides with another object. The corner of other boxes, sharp edges of a truck or shipping container or a sharp product within the box all might puncture your shipping cartons. The puncture resistance test aims to simulate such collisions by evaluating the energy required to create a hole in the packaging material. The bursting strength test and the puncture test both verify the susceptibility of packaging materials to damage through puncturing. But the puncture resistance test uses a puncture resistance tester with a pendulum arm and a steel pyramid head that physically hits the cardboard at a 90-degree arc. The climate of your sourcing destination could be drastically different from that of your target market. Many popular sourcing locations in Asia have a tropical or subtropical climate and regularly experience high humidity levels. But you might be shipping to a country in Scandinavia or elsewhere with a much cooler, dryer climate. Packaging materials might warp, mold or otherwise deteriorate under different climates (related: 3 Ways the Environment Affects Manufacturing). Not only do you need to consider the climate of your sourcing location and target market, but also the climate conditions your shipment will experience during transit. Shipping by air will expose your packaging and products to higher altitudes and air pressures. Shipping by sea might expose your products to water damage if packaging materials aren’t adequately sealed. During a climate conditioning test, the packaging material is placed and kept within a specified climatic atmosphere chamber for a length of time, often 72 hours, to reveal any changes in the physical properties of the material. 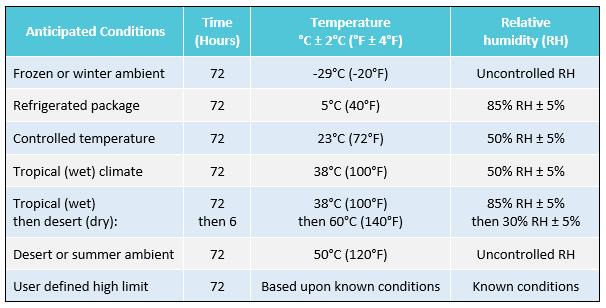 Calibrated environmental chambers can simulate elevated temperatures, cold/sub-zero temperatures and elevated humidity levels, as shown in the table below. Suitable packaging materials: Containers, packages, or packaging components, especially cellulosic materials that might undergo physical changes under different climatic environments. Modern automobiles drive a lot smoother than the first Model T designs of over a century ago. But transport through a number of vehicles, including trucks and semis, still often produces vibration that can affect a shipping carton, its interior packaging, packaging closure and the products inside. And your shipment might be subjected to additional bumping, shocks and vibration when traveling in less developed countries with unpaved roads. The vibration test is meant to assess the performance of a container, including the interior packing and closure, in terms of its strength and the protection it provides the products within. Suitable packaging materials: containers of any form, material, kind or design of interior packing, means of closure and any size and weight. Containers are generally tested once loaded, rather than unloaded, to measure the strength of the interior packaging and closure. Like the edge crush test, a compression test can be helpful to evaluate packaging materials that might be stacked or compressed in small spaces with other boxes and items. While the edge crush test evaluates cardboard at its edge, force can be applied during the compression test to the container’s faces, to diagonally opposite edges or to corners. You can also use this same standard to evaluate other materials aside from cardboard, like drums, pails, bottles and tubs. The compression test can be used to measure the ability of a container to resist external compressive loads applied to it. The box is gradually compressed between two parallel platens to reveal any bulging, distorted or damaged shape, damaged corners or damage to products within. Suitable packaging materials: shipping containers (for example, boxes and drums) or components or both. Shipping containers may be tested with or without contents and with or without a closure. A shock test might seem similar to the carton drop test importers often request among on-site packaging testing during a pre-shipment inspection. Free-fall drop testing like the carton drop test is easy to perform and can reveal issues in packaging materials, methods or assortment through a series of drops. But importers seeking more comprehensive and statistically accurate packaging testing can consider a shock test performed in a laboratory. With an on-site carton drop test, the orientation of each drop is manually determined by the inspector. While there are standards for how to orient the carton for a series of nine drops, manual packaging testing still cannot provide statistical accuracy of an exactly perpendicular drop with the dropping surface. 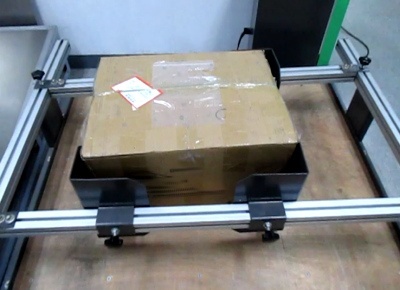 A machine can determine an exact 90 degree drop from the corner of the shipping carton and the dropping surface, while a human might drop the carton at a 92- or 95-degree drop. How much difference does a few degrees really make? ASTM testing found a variation of as little as two degrees from perpendicularity resulted in an eight percent lower acceleration and dispersal of impact energy. So a less precise on-site carton drop test alone may be inadequate in revealing important vulnerabilities in your packaging. Suitable packaging materials: loaded shipping containers, cylindrical containers, and bags and sacks. Leak tests are essential for food and beverage products, liquid cosmetics and any other liquid products. Often a reduction in air pressure during air transit can cause containers to rupture, crack or burst. And it’s not like you can just scoop up any leaked liquids from your broken containers and repackage them on arrival. Both the products and your containers will no longer be sellable or safe for consumption or use. So how can you ensure your liquid products remain safely incased in their containers throughout shipment? Similar to a climate conditioning test, a leak test simulates elevated air pressures using a calibrated vacuum chamber. Initial pressure applied within an airtight chamber is measured against the final pressure after a period of time. Any changes in these two measurements will reveal leaks or other concerning packaging vulnerabilities. Suitable packaging materials: rigid, empty containers meant for the transportation of liquids by air. This test method may be unsuitable for some packages, such as packages with paper cap seals that can be damaged by the test fluid. Most of the above tests have focused on evaluating a packaging material’s strength and integrity. But another important role of packaging testing for importers is ensuring compliance to legal regulations. Failing to comply with legal regulations for packaging can put your brand at risk for a number of monetary fines, lawsuits and other liability issues. 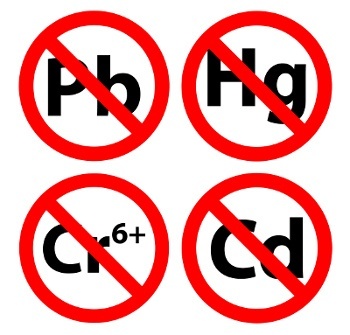 The Model Toxics in Packaging Legislation establishes requirements for the reduction and elimination of four heavy metals, namely cadmium, lead, mercury and hexavalent chromium in packaging sold or distributed in nineteen U.S. states. The Model is more restrictive than the European Union Packaging Directive (94/62/EC, Article 11), so importers selling in both U.S. and European markets will need to ensure compliance under both standards. 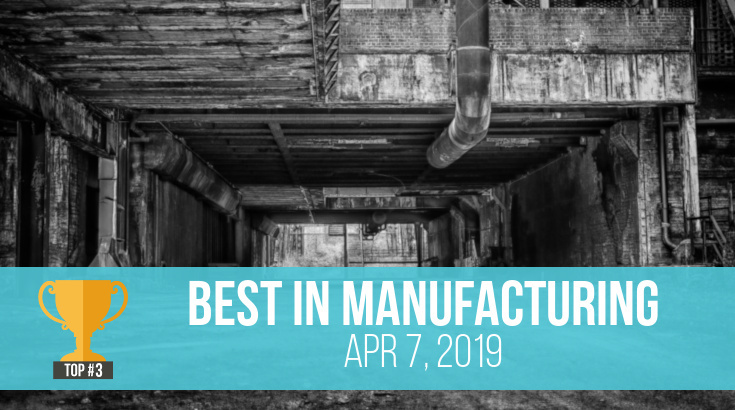 The legislation holds all manufacturers, suppliers, product manufacturers and distributors of packaging and packaging components accountable for testing and ensuring the elimination of toxins. Lab testing is the only way to determine compliance to these regulations. Suitable packaging materials: All packaging and packaging components, including plastics, papers, cardboards, metals, inks, glass and ceramics. In addition to carrying out lab testing, ask your supplier to provide a Certificate of Compliance after testing has verified the level of chemicals is within the allowable threshold. 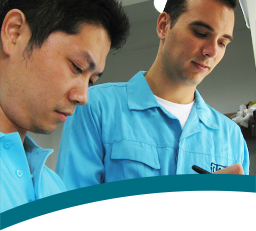 Do you really want to leave packaging quality control up to your factory? The factory that manufacturers your product might not also manufacture its packaging. It’s common for factories to outsource packaging manufacturing to one or more sub-suppliers. And your factory’s standard for packaging quality control might not be as high as yours, which makes packaging inspection and testing all the more vital. Does that mean you need to carry out every lab test on this list? Probably not. But don’t disregard the importance of packaging testing in a qualified lab. Low quality packaging puts your product quality at risk if it fails to adequately protect your product from unsuitable environments, water damage or rough handling (related: 5 Packaging Quality Control Checks No Importer Can Afford to Skip). Verifying packaging quality through both pre-shipment inspection and lab testing ensures your products will arrive on your customer’s doorstep undamaged and in top condition. Which of the above lab tests do you think are most helpful for managing packaging quality control? Share your thoughts in the comment section below! Maegan Burkhart is from Tulsa, Oklahoma and a graduate of George Washington University. She joined the InTouch marketing team in January 2017. She enjoys traveling, politics and reading.